This statue reflects Fox's popularity in several ways. First, it was erected relatively quickly, for the tenth anniversary of his death. 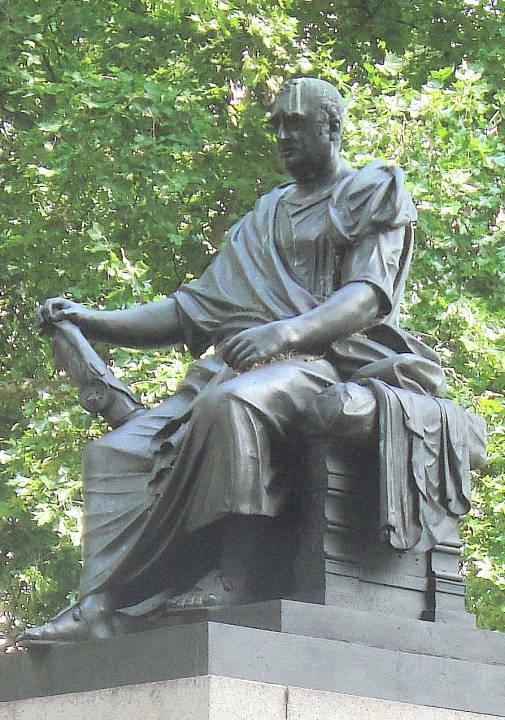 Then, it was erected with the surplus from a fund raised for his monument in Westminster Abbey (see Weinreb et al. 1870). 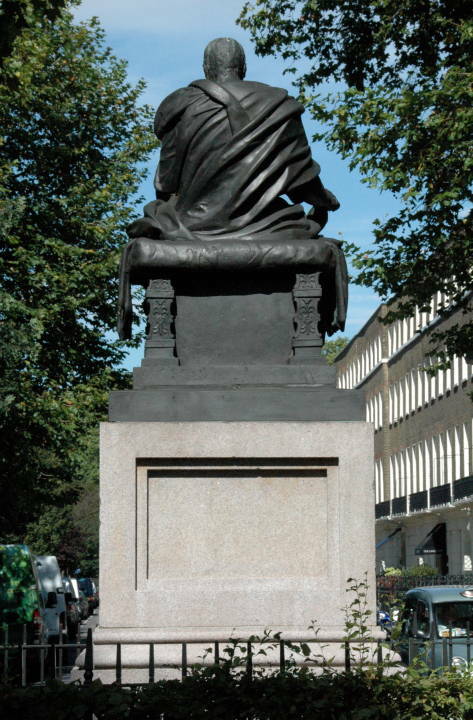 Finally, it is positioned not near the seat of government in Westminster, but in a much-frequented area in the heart of Bloomsbury, very close to the British Museum, in a particularly historic London square — the first open space in London to have been so designated (see Baker 71). 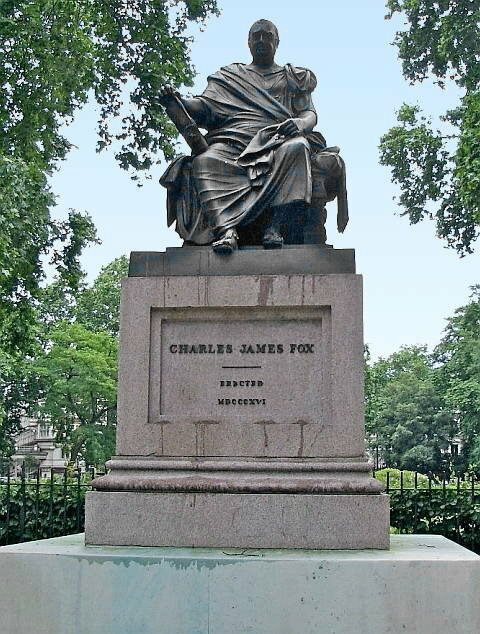 Facing outwards towards the road, Fox is classically robed and holds a copy of the Magna Carta, placing him "firmly in the tradition of those who have championed the rights of the people and sought to limit the power of the monarch" (Bullus and Asprey 80). The seal on the Magna Carta is very prominent. Baker, Margaret. 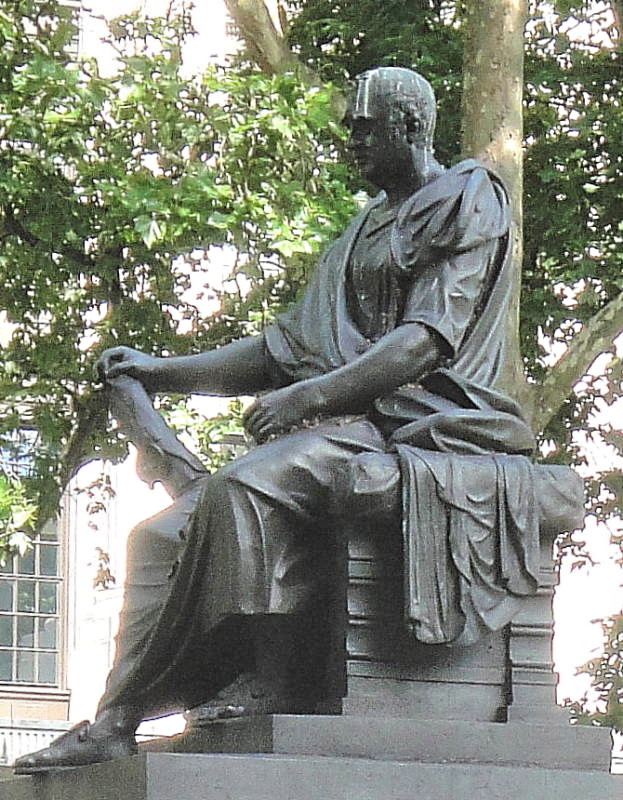 London Statues and Monuments. Princes Risborough: Shire, 1995. Bullus, Claire, and Ronald Asprey. 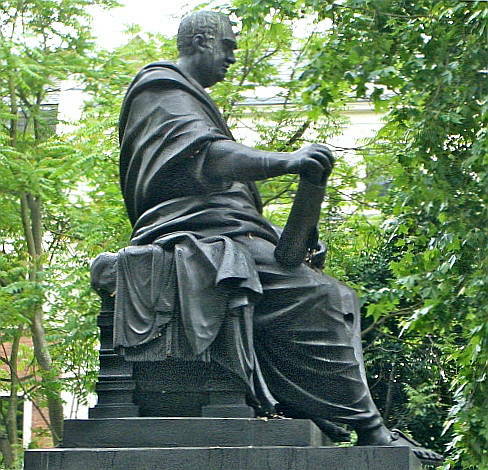 The Statues of London. London & New York: Merrell, 2009. Weinreb, Ben, Christopher Hibbert, Julia Keay and John Keay. The London Encyclopaedia. London: Macmillan, 2008.